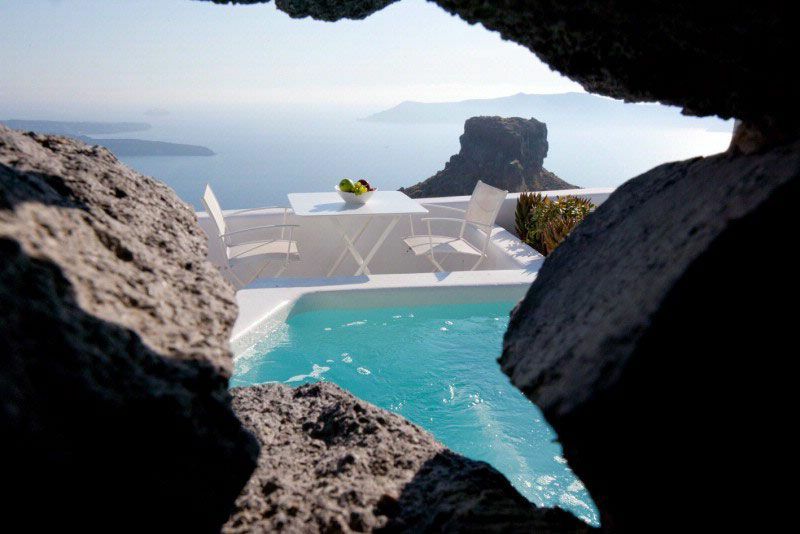 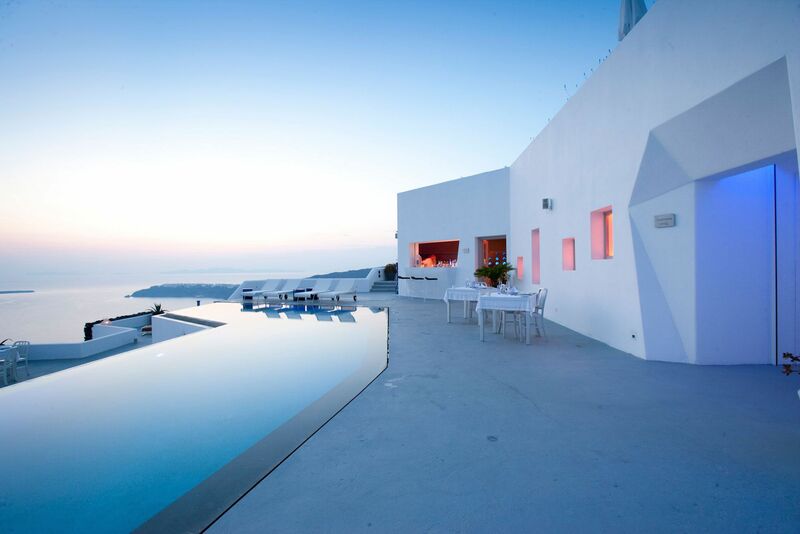 This 20-room hotel is carved into the cliff-face 300m above Santorini’s volcanic caldera. 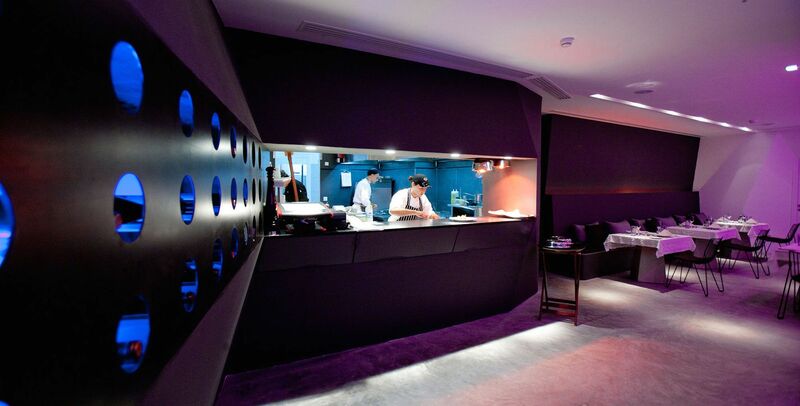 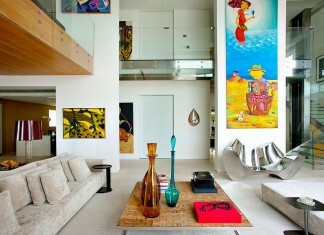 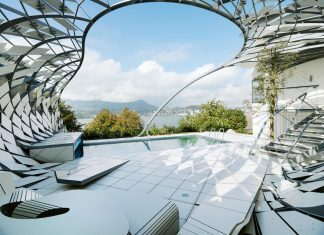 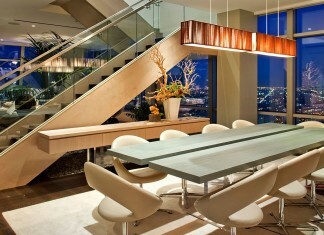 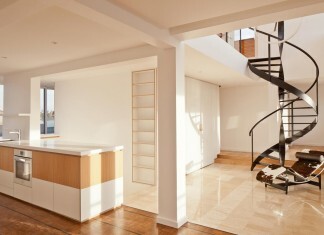 The understated design allows this extraordinary landscape to take centre stage. 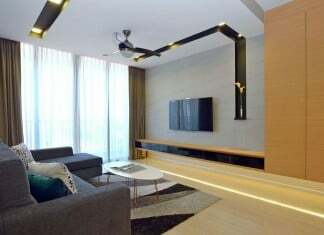 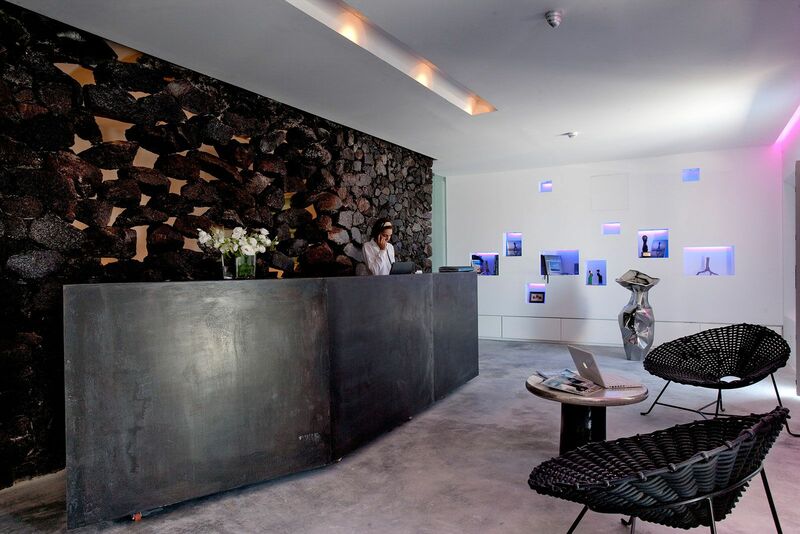 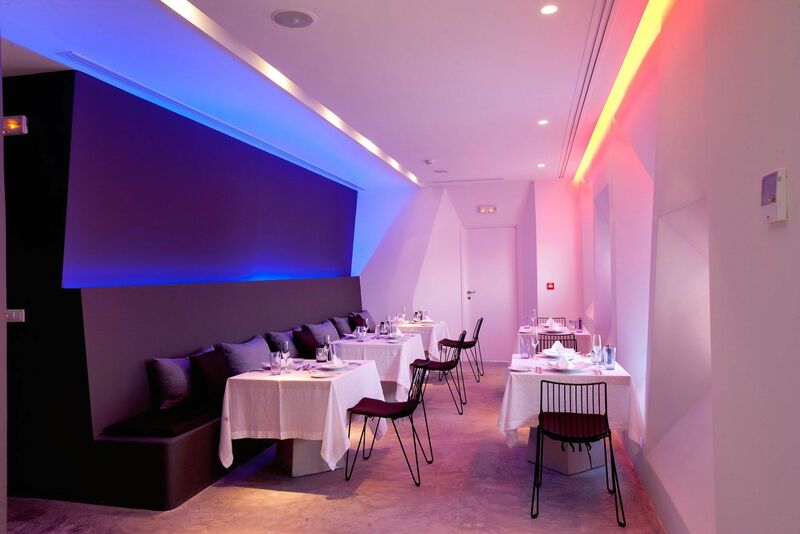 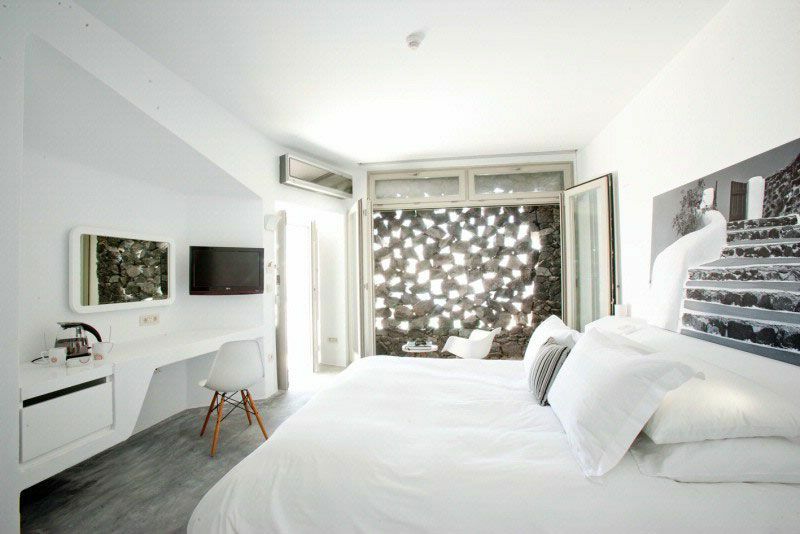 The hotel provides a contemporary interpretation of vernacular architecture: economy of space, radical simplicity, and organic forms. 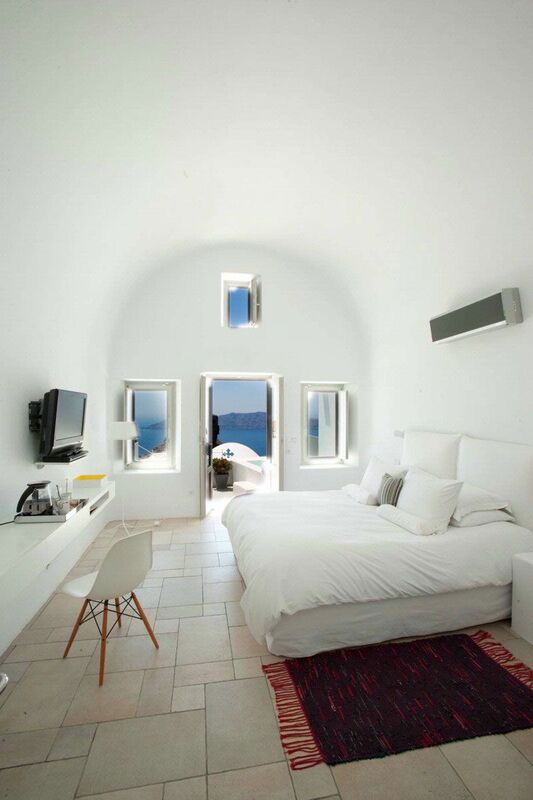 Like Santorini’s yposkafa – cave-like dwellings with rounded walls and domed roofs excavated from the rock-face – no furniture is free-standing. 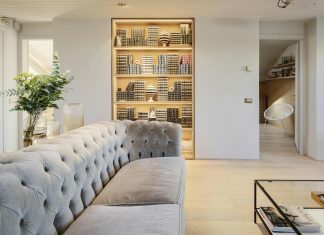 Custom-built storage and vanity units are moulded into alcoves. 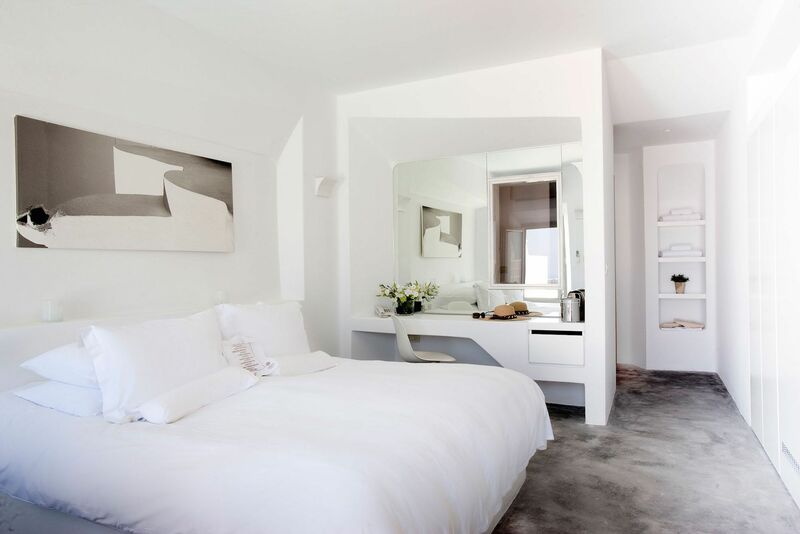 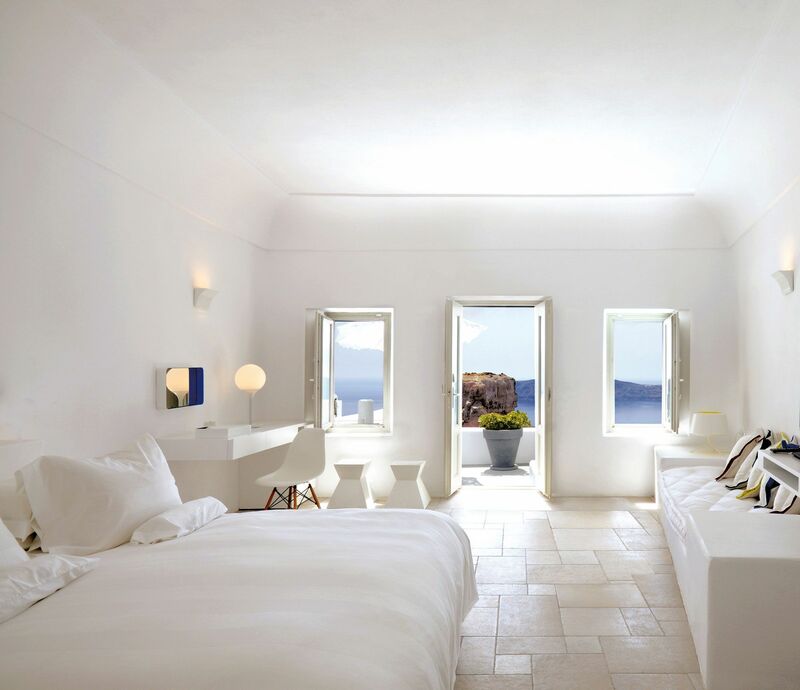 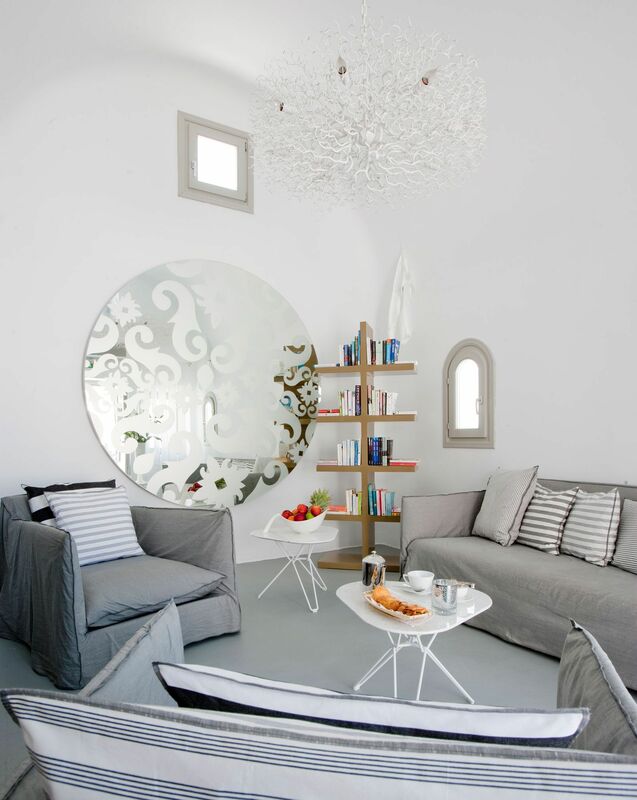 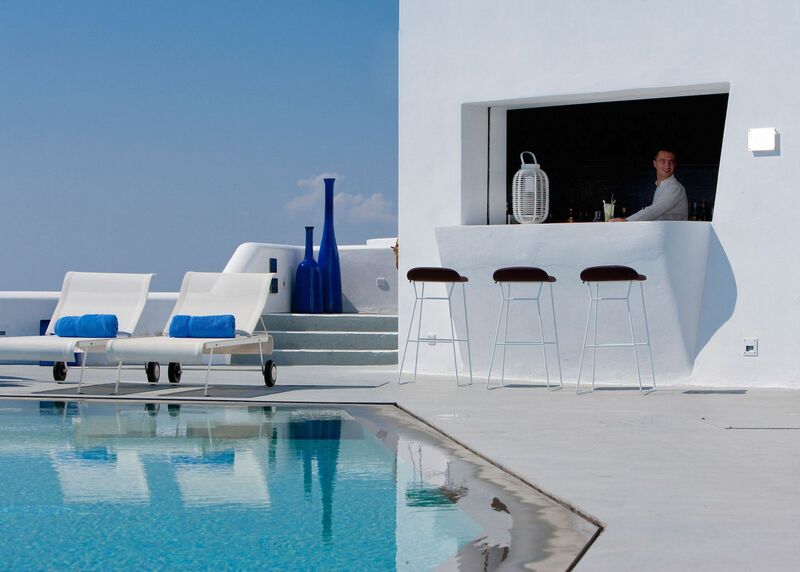 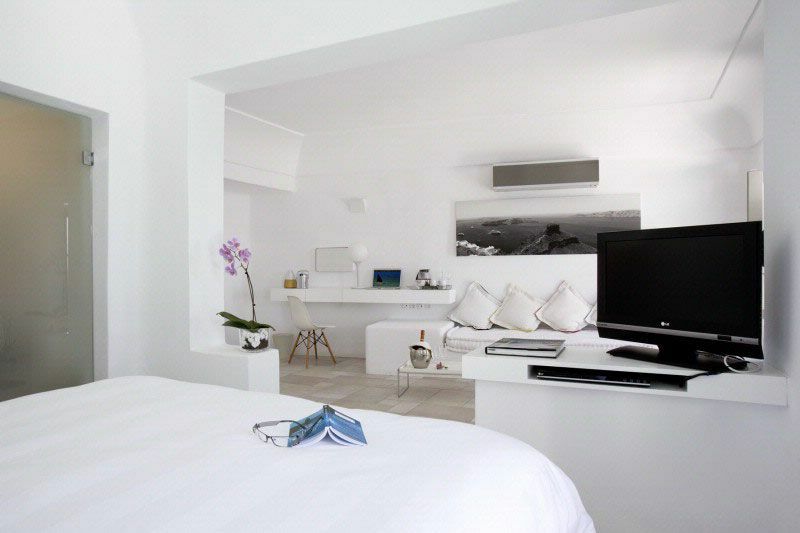 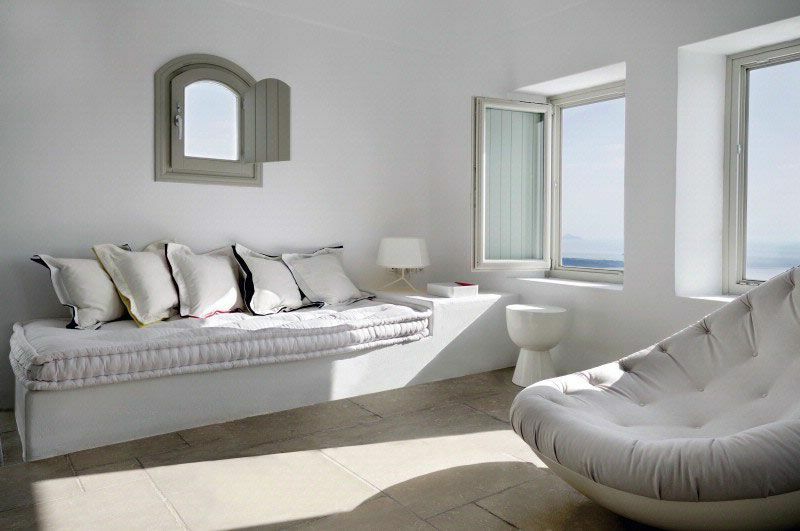 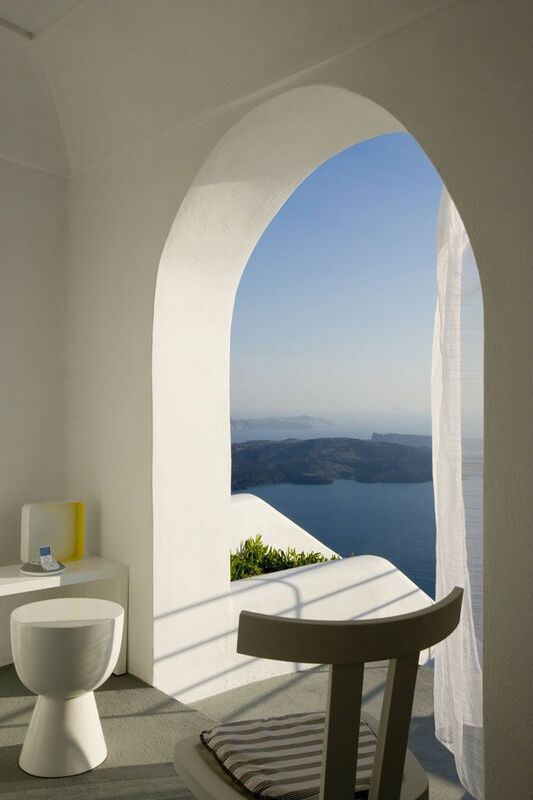 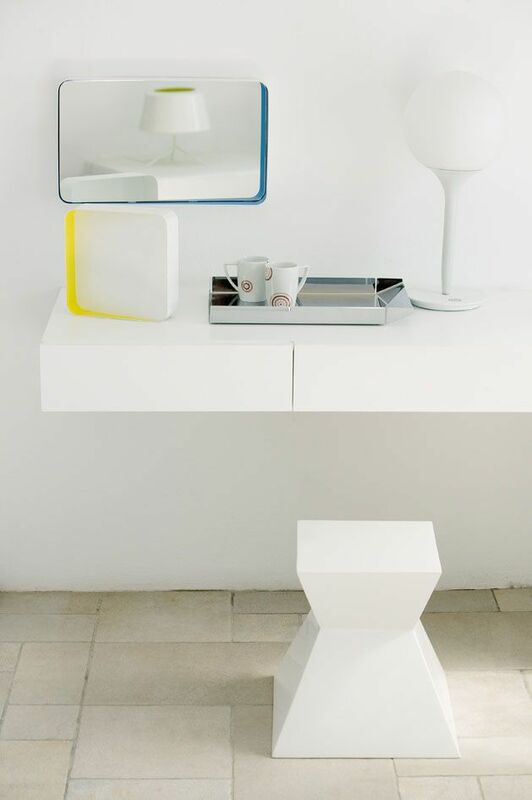 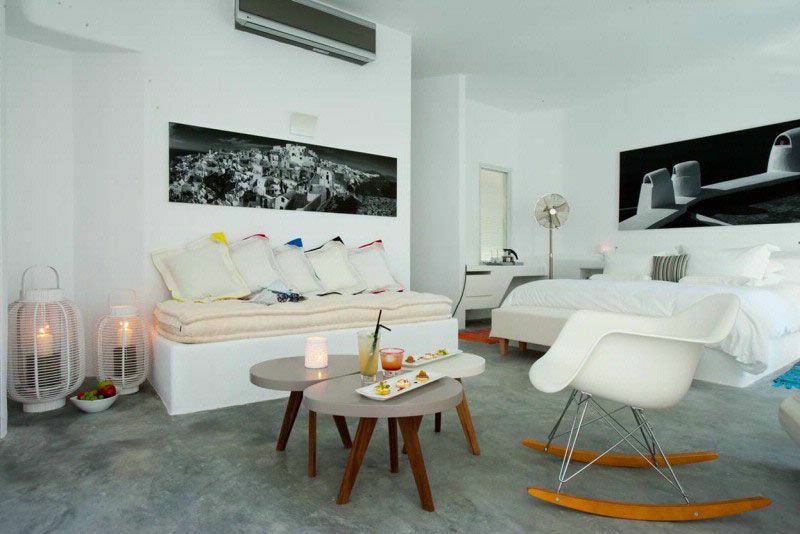 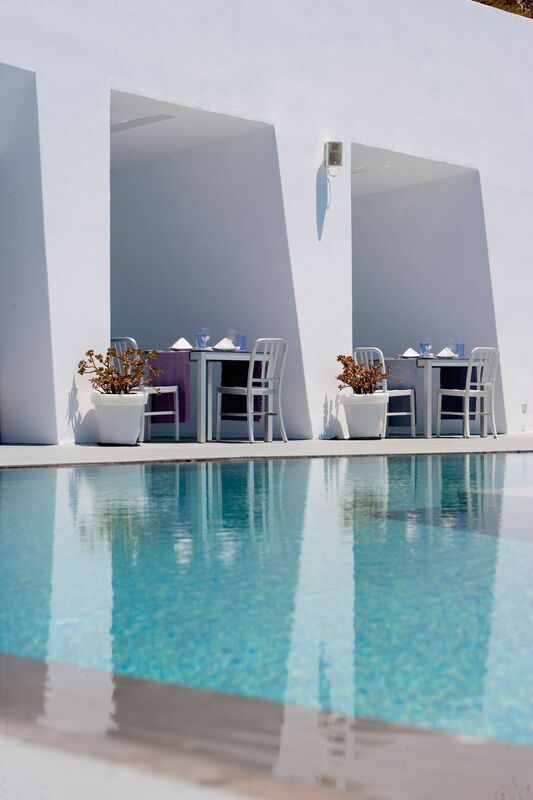 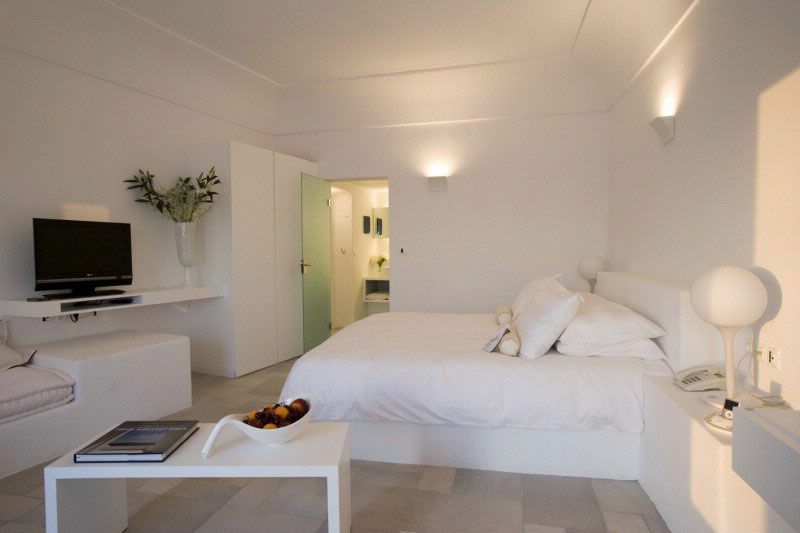 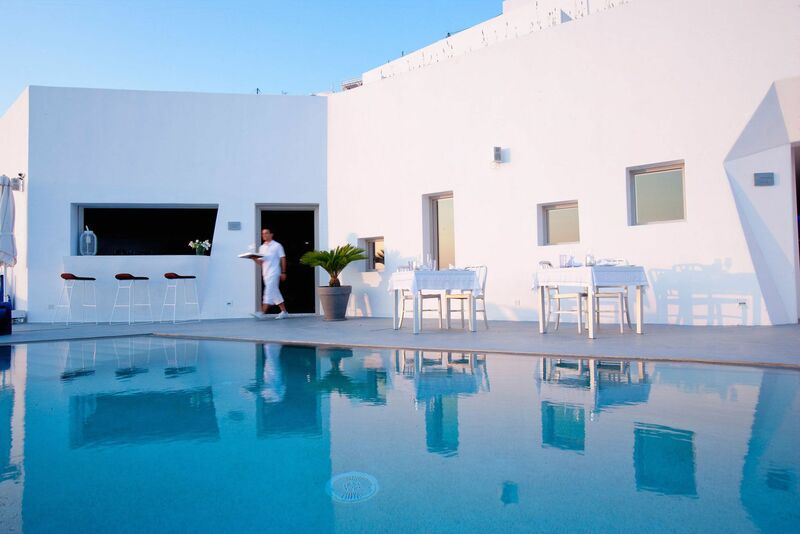 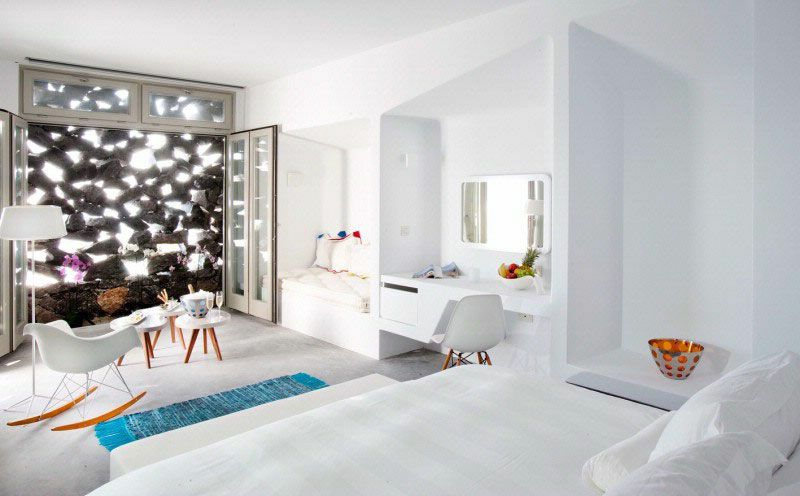 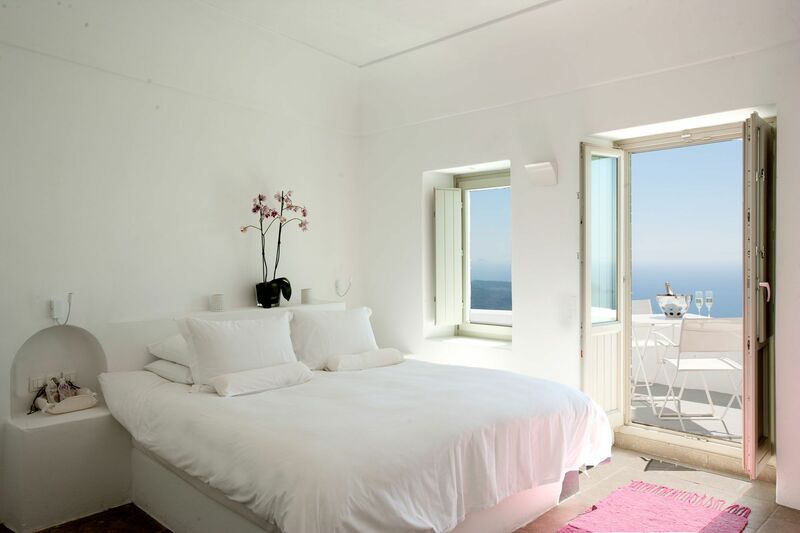 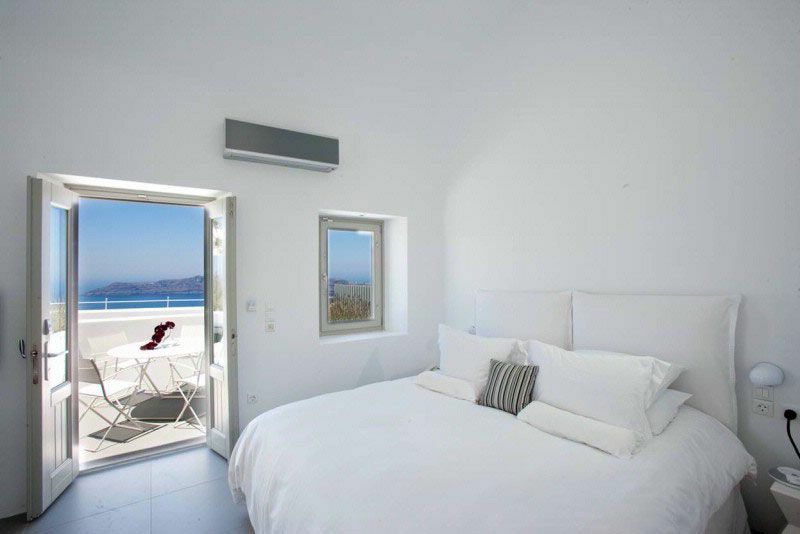 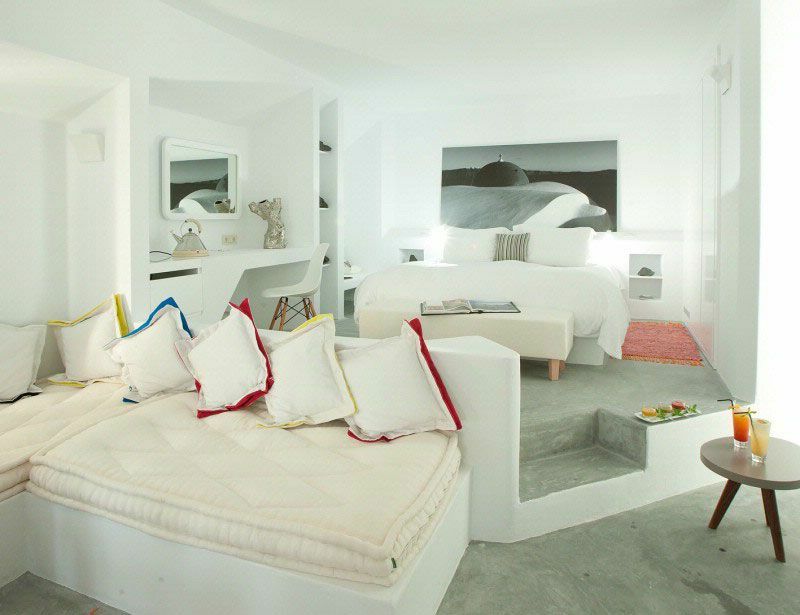 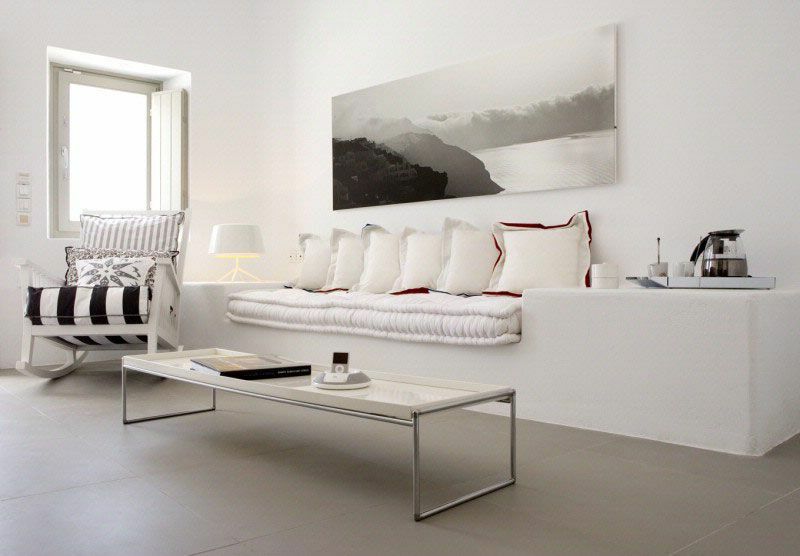 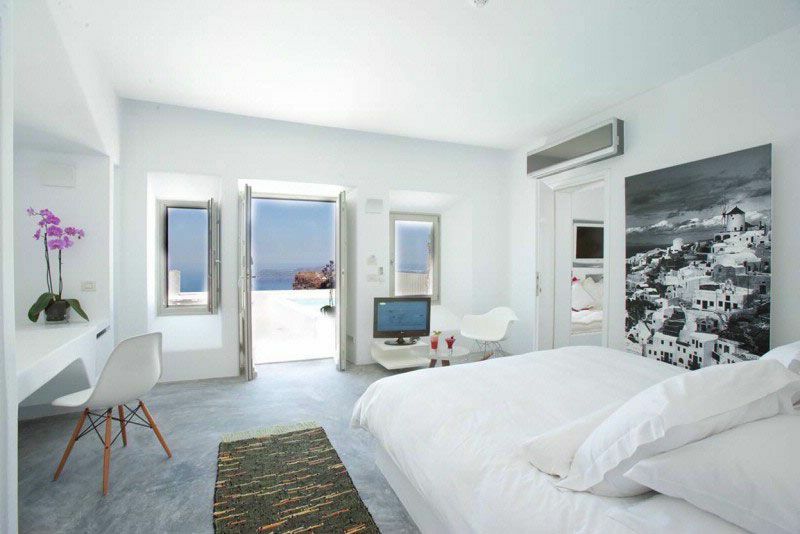 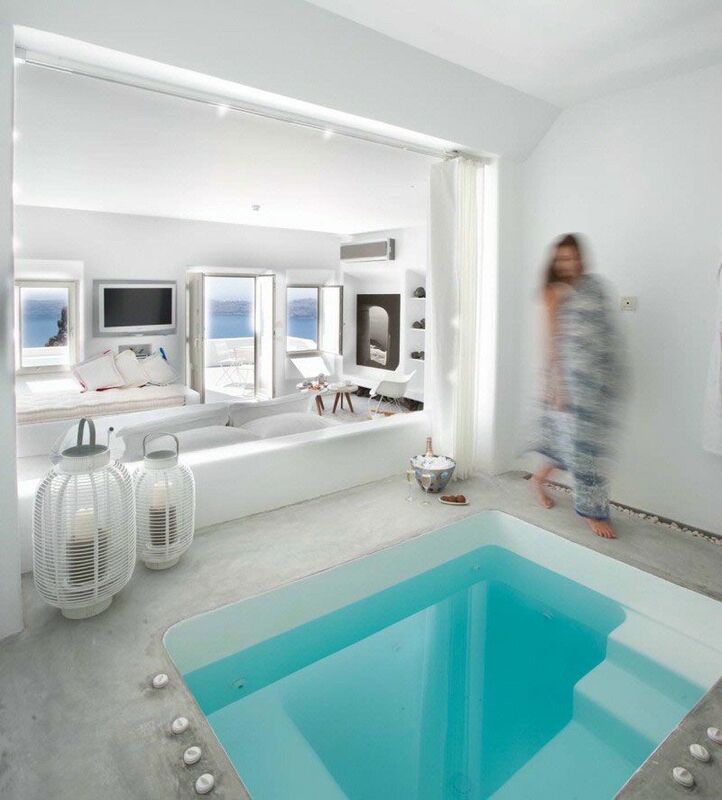 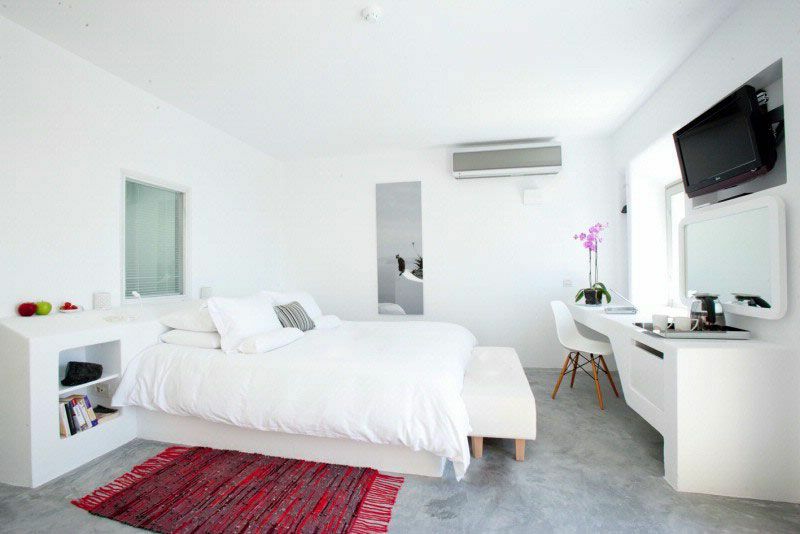 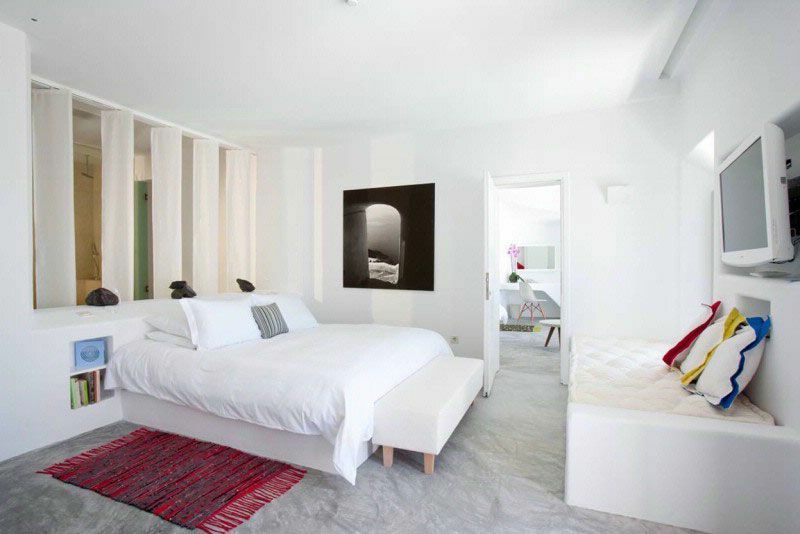 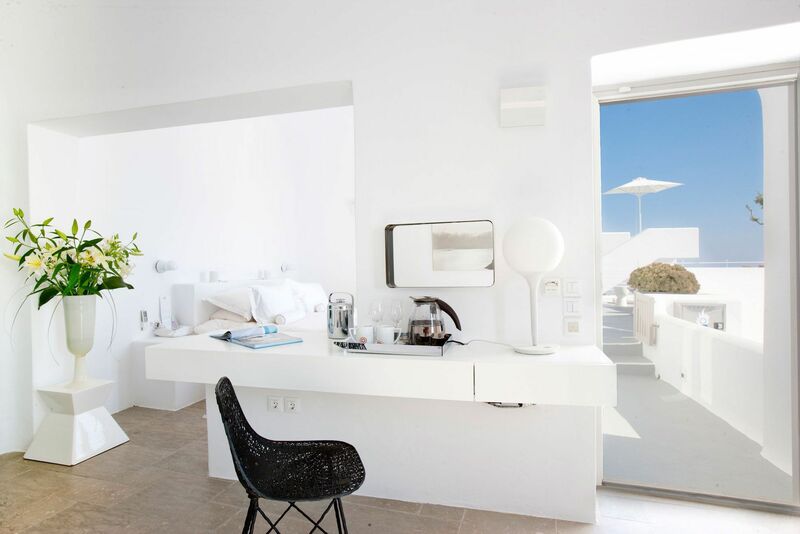 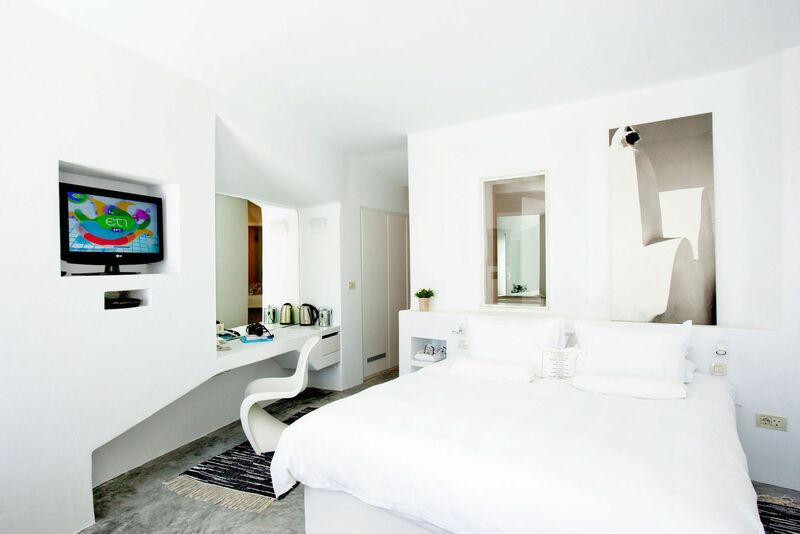 All-white interiors with brushed concrete floors reiterate the trademark whitewashed houses of the Cyclades. 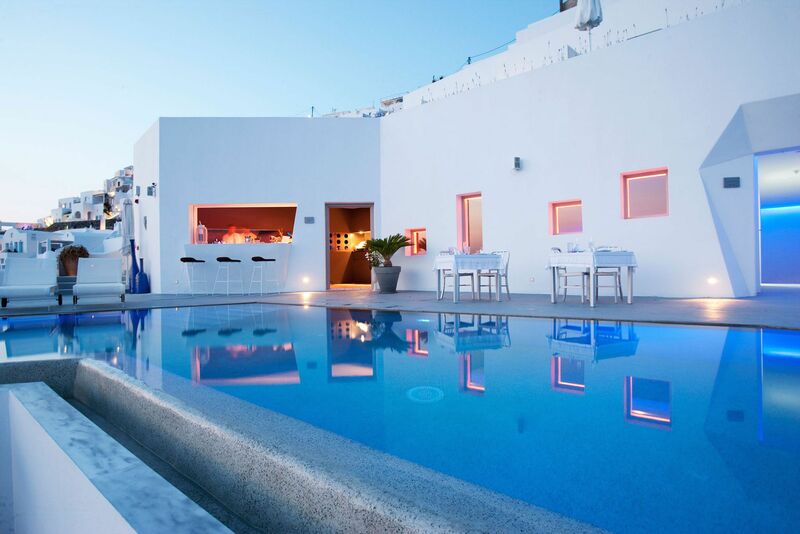 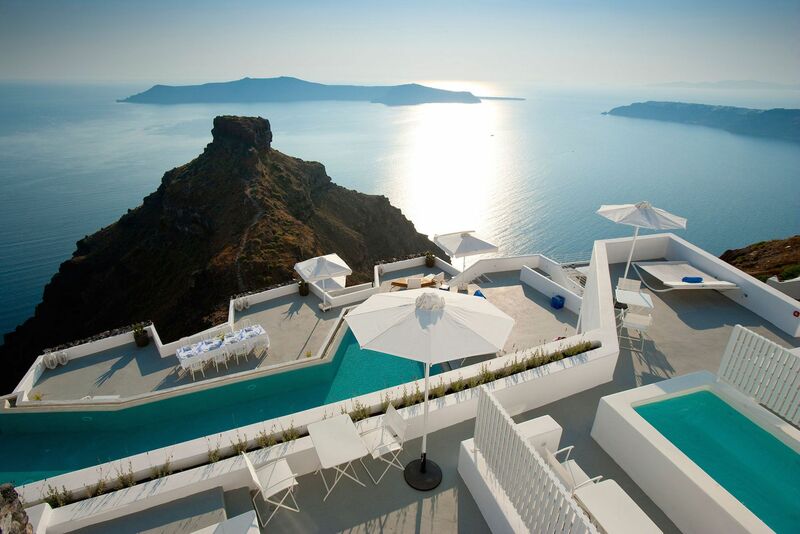 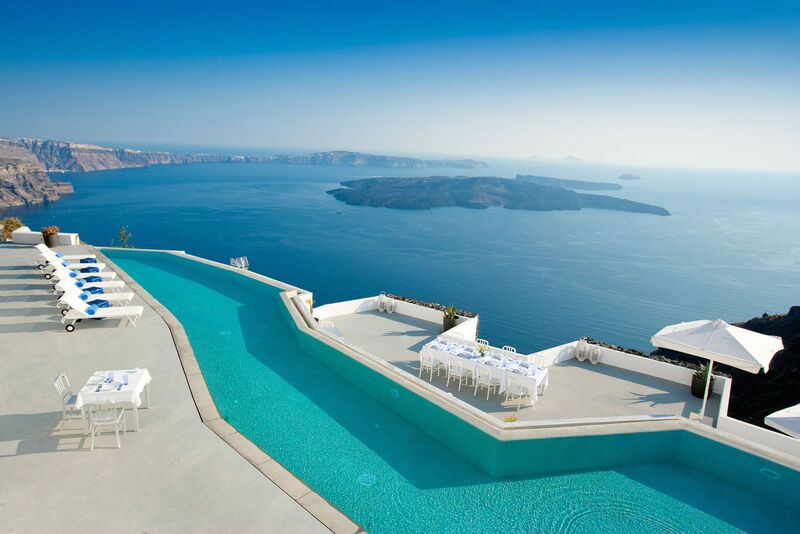 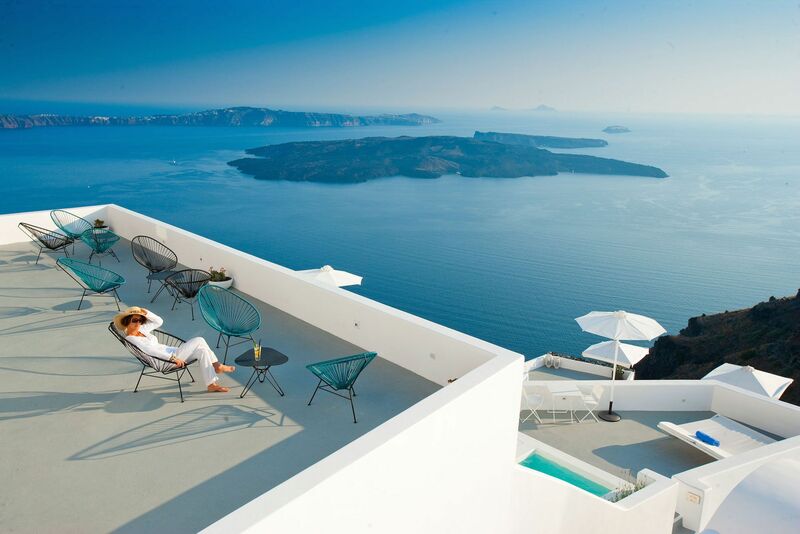 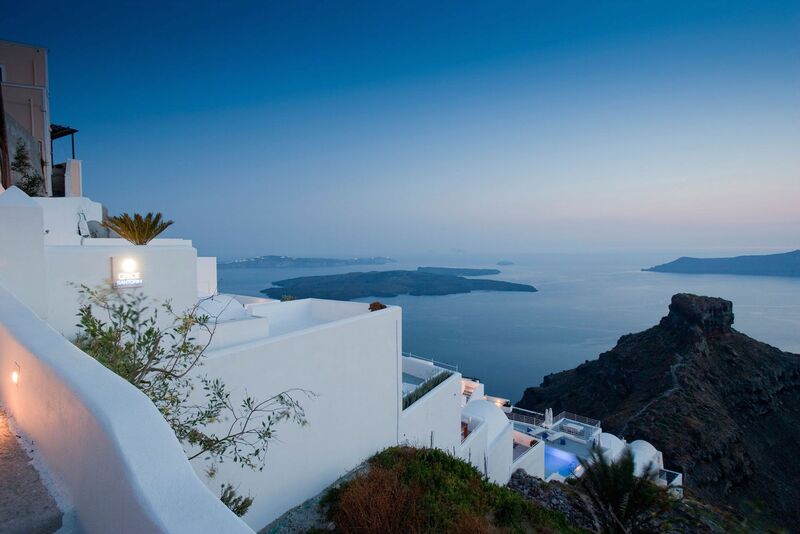 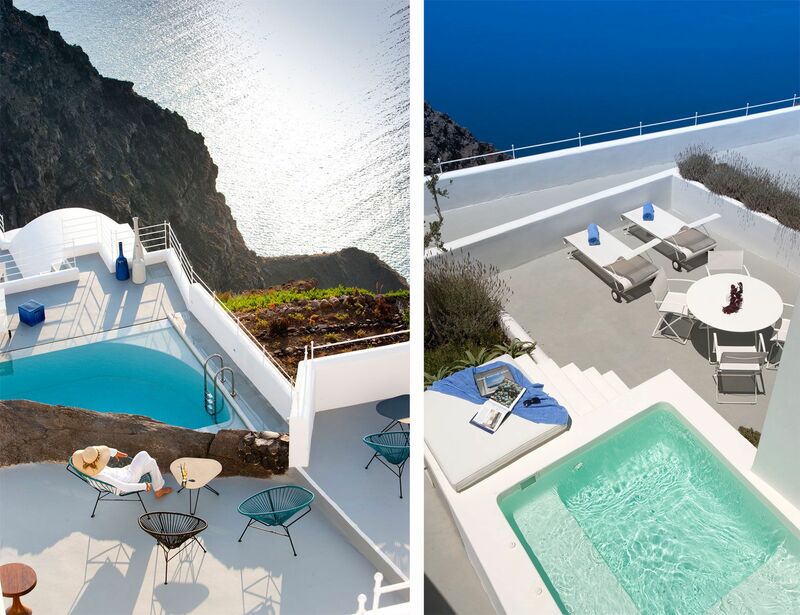 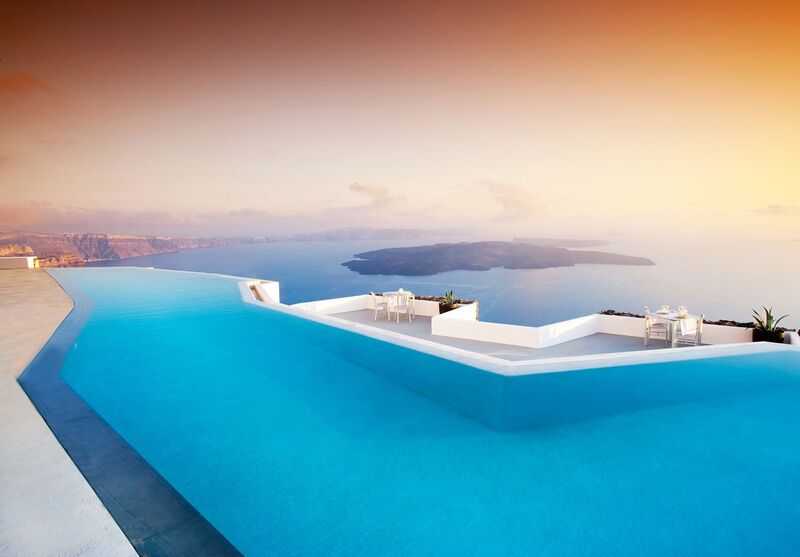 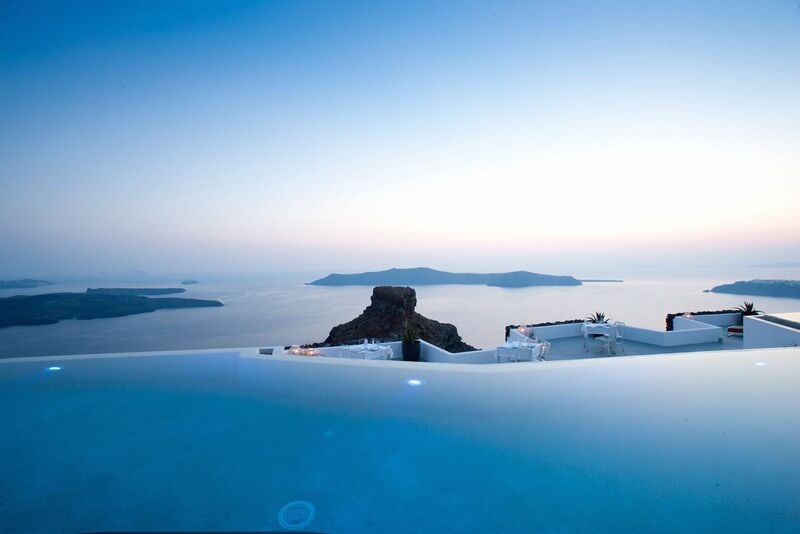 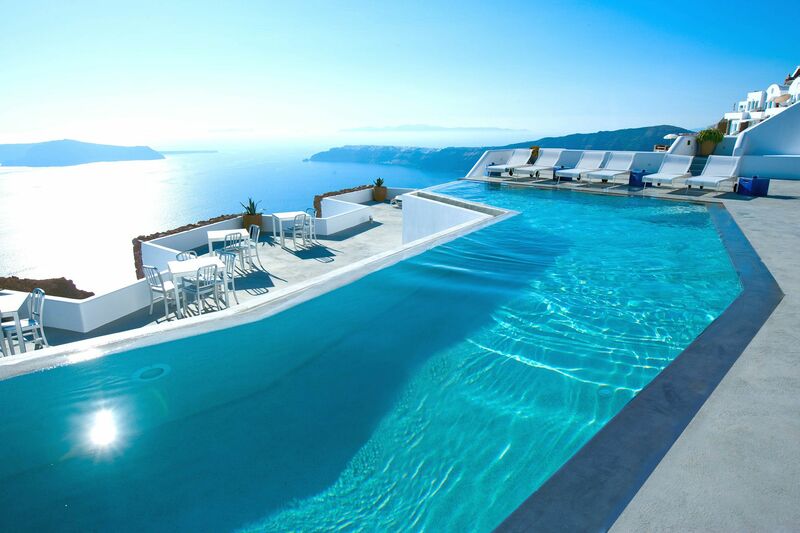 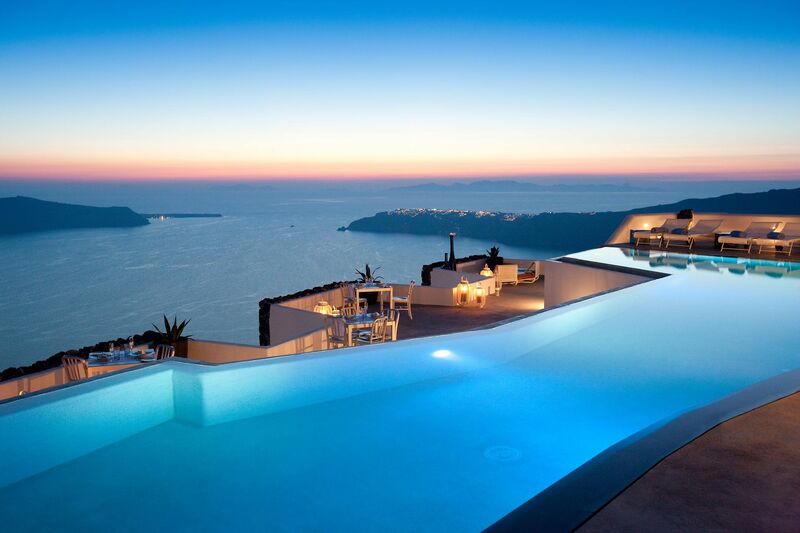 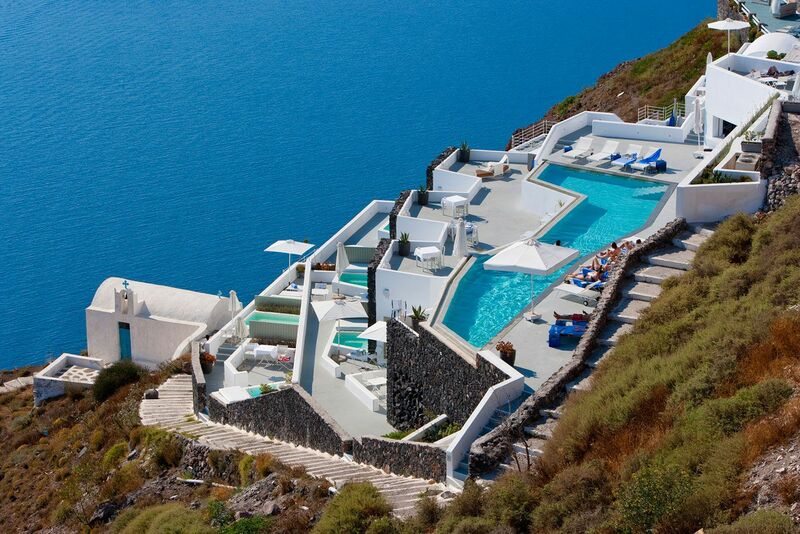 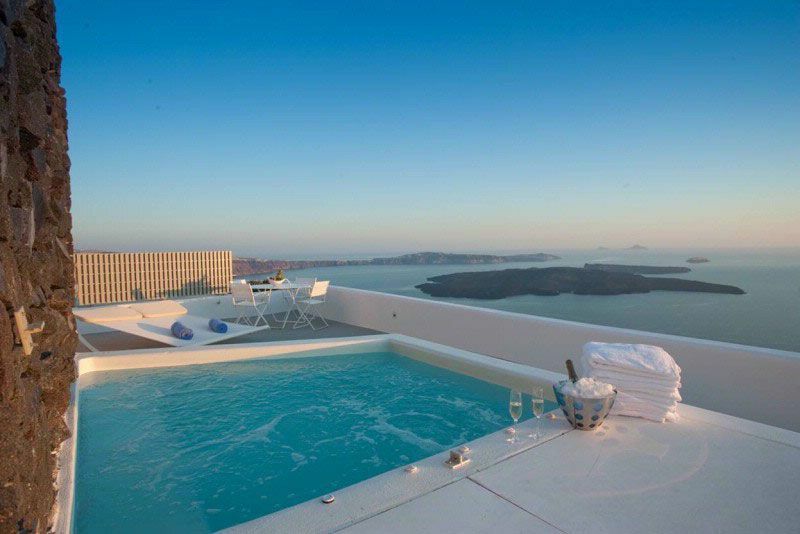 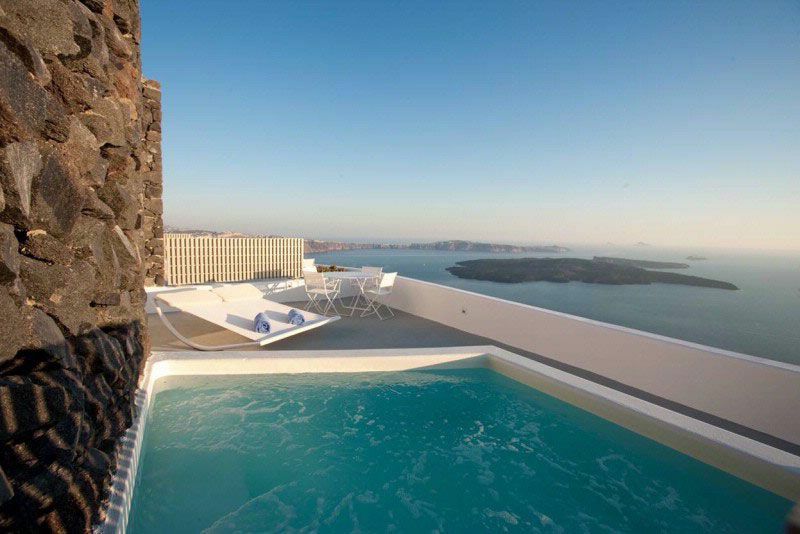 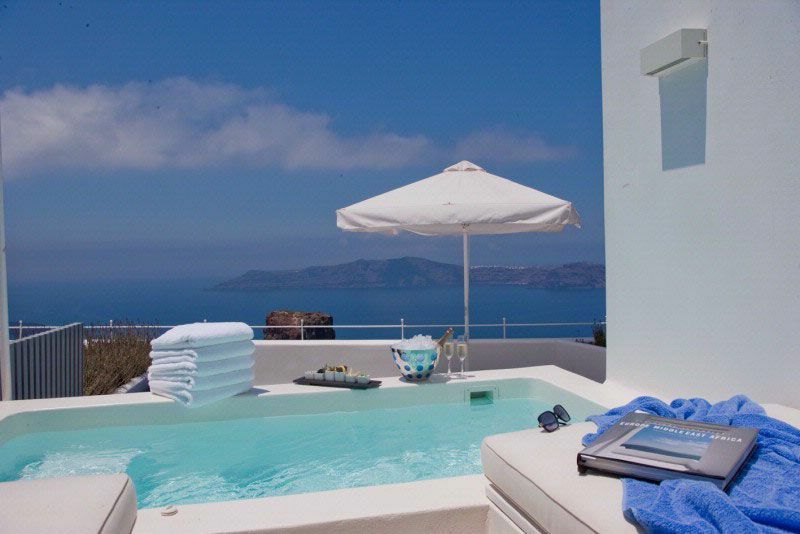 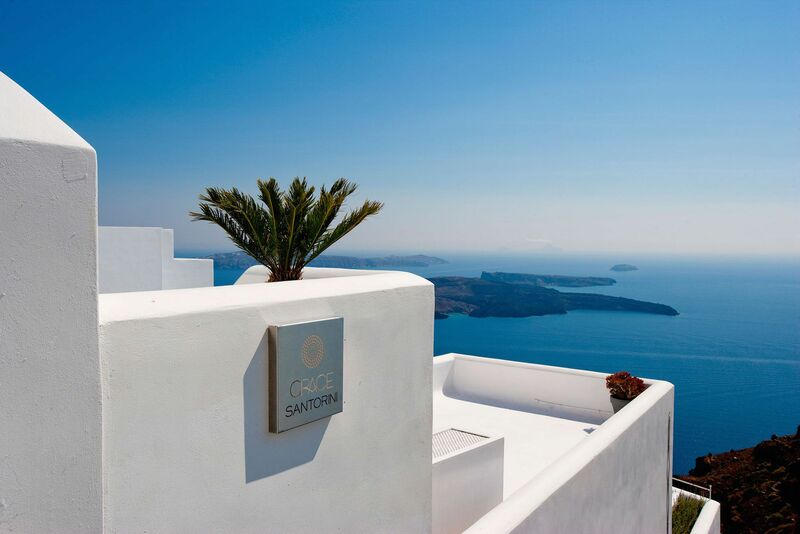 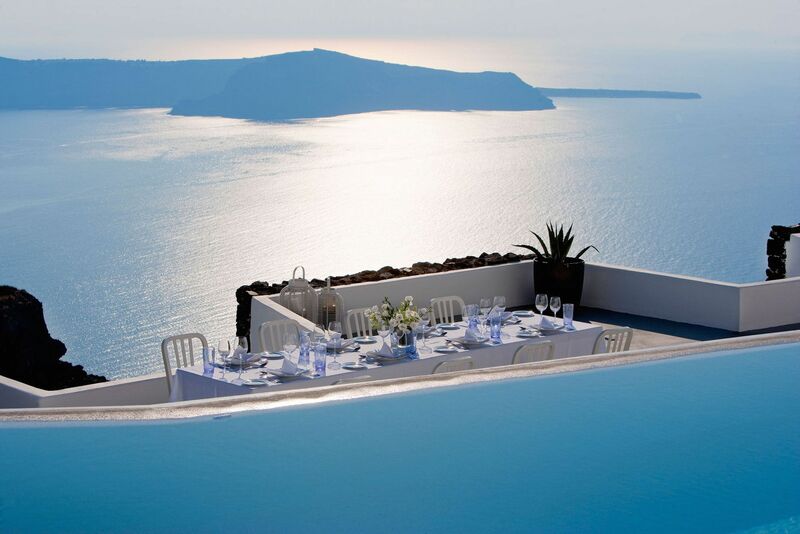 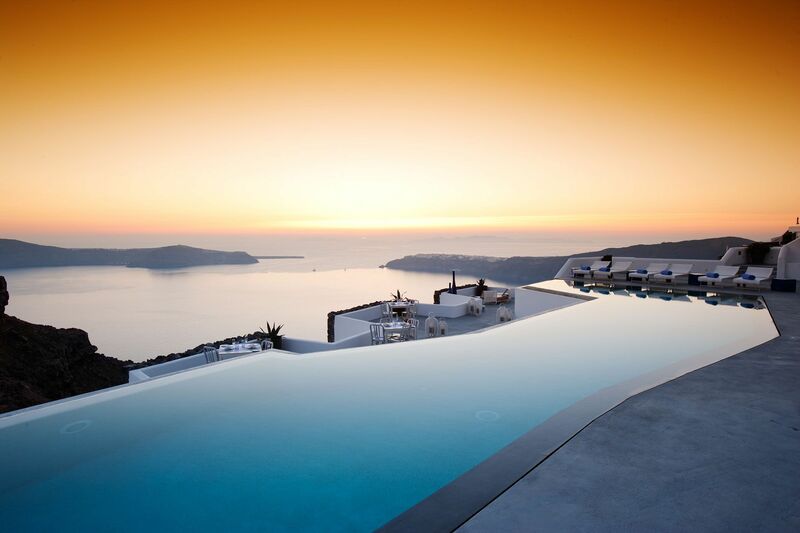 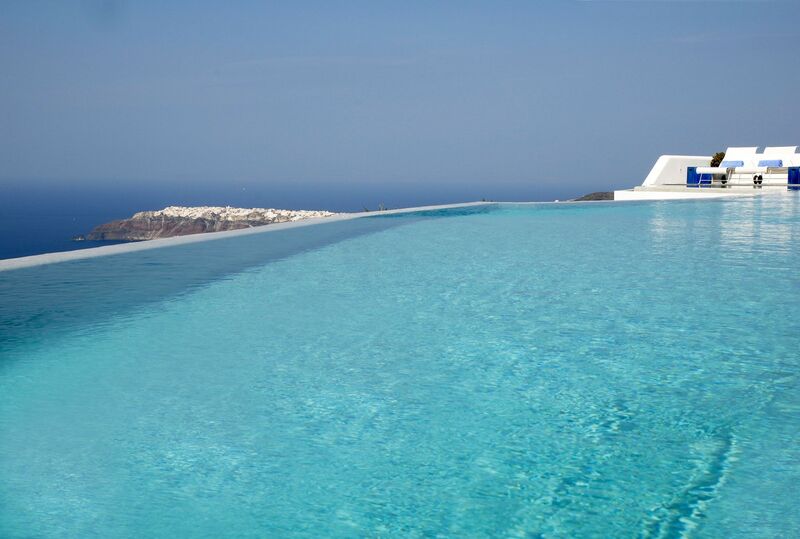 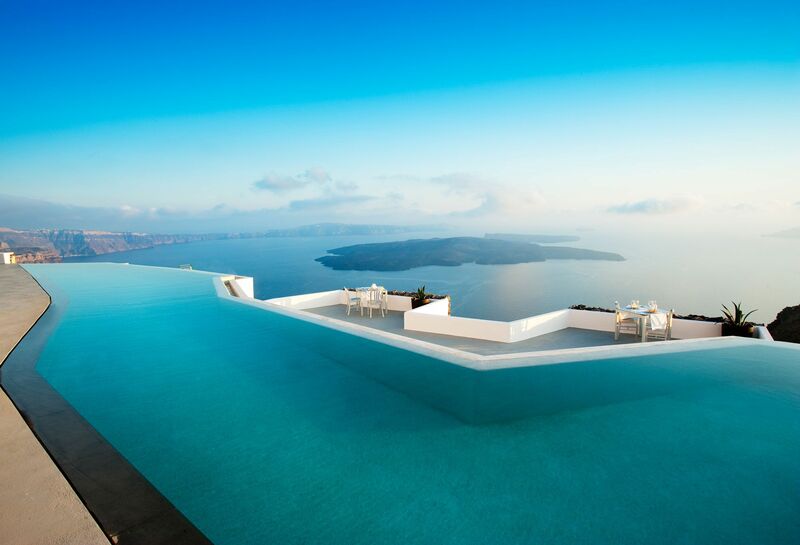 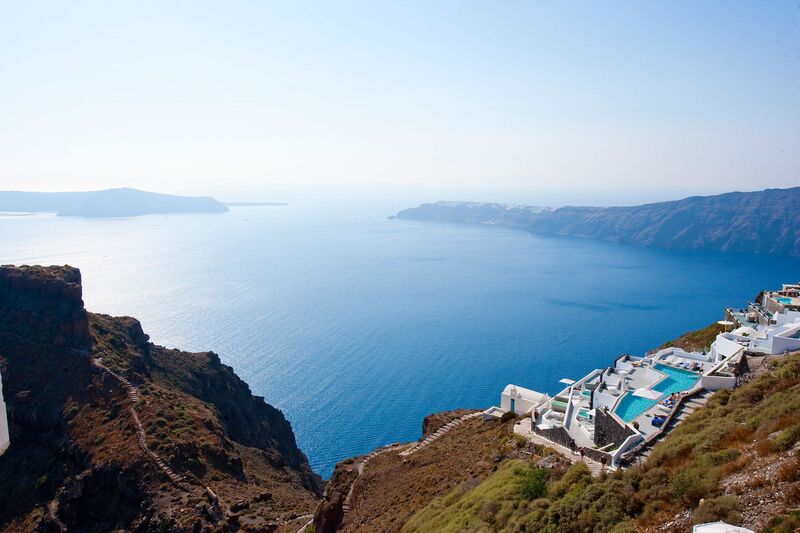 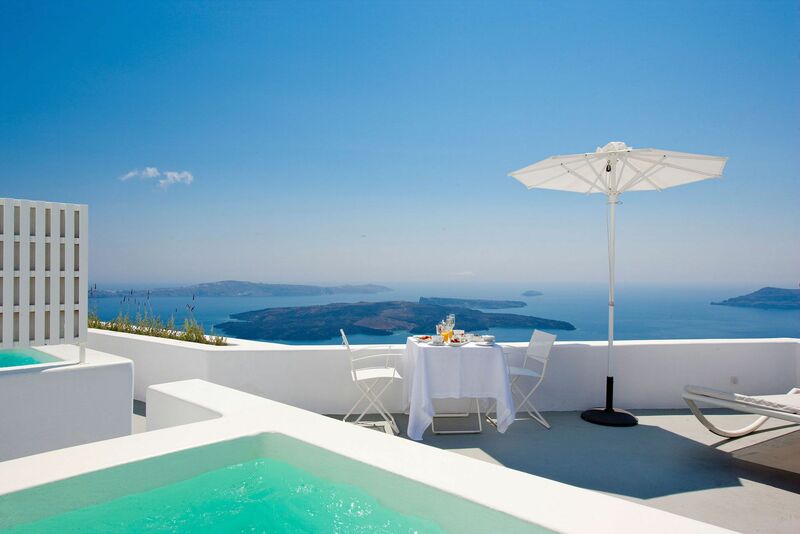 The infinity pool’s jagged outline echoes the zigzag paths that criss-cross Santorini’s sheer terrain.